Getting married soon?Looking for a Wedding Planner?Let's help you find the right one for you. Dubai is known to have everything in one place, from adventure, relaxations, shopping, to romance, Dubai is a place which offers many different experiences for everyone. But let's talk romance! 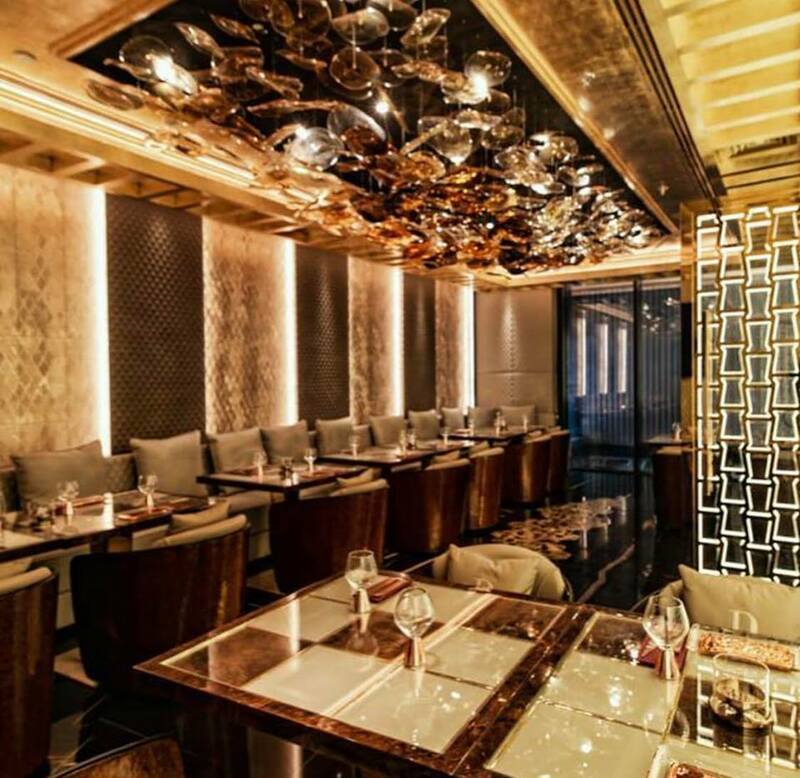 If you are a couple in Dubai who wants to spend a romantic evening together, you will find a wide range of romantic restaurants and places for a romantic dinner in Dubai. 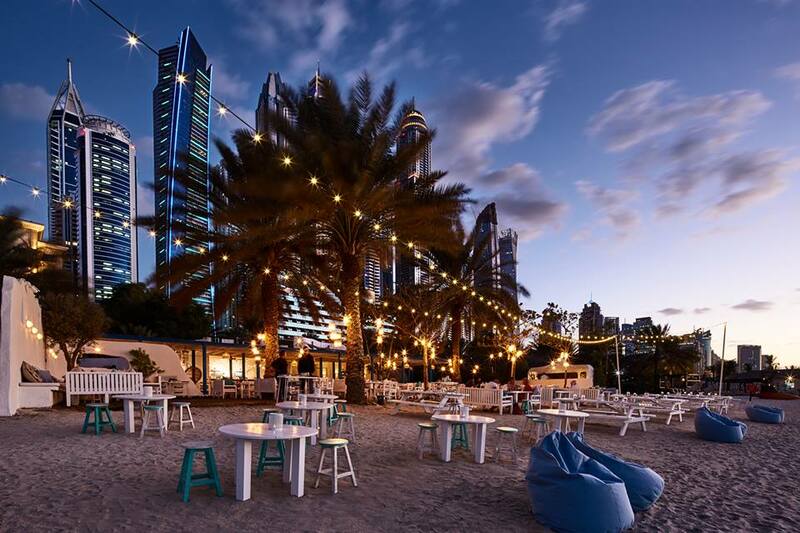 Whether you are celebrating a special occasion, your engagement or anniversary, there are plenty of beautiful places in Dubai that offer the perfect ambience. With captivating views across the Arabian Gulf, the multi-award winning Pierchic restaurant offers an ‘over-the-water’ dining experience. 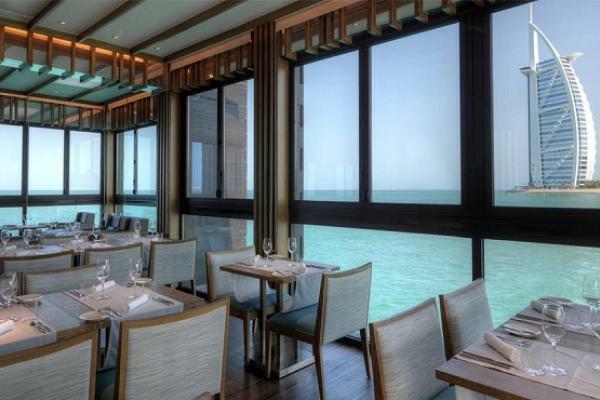 Offering fresh seafood delicacies, this restaurant is situated at the end of the pier at Al Qasr Hotel at Madinat Jumeirah. The restaurant features al fresco dining and stylish rickshaws that transport guests from pier to door. The ‘Pierchic Lounge’ and ‘Pierchic Bar’ offer a stand alone bar and cocktail menu crafted by the in-house mixologists, perfect for pre-dinner drinks. Perfectly situated on Jumeriah Al Naseem’s turtle lagoon with the back drop of the azure blue of the Arabian sea, Flamingo Room by tashas provides a causal, chic all day dining experience – from lunch into the evening for dinners and cocktails. Their contemporary menu showcases simple classics with clean flavours and the best quality ingredients. Reinforcing the ode to Africa, Collective by Charles Grieg, a beautiful retail space within the restaurant, offers stunning treasures sourced from all over the continent. Home begins by the peaceful shores of the Mina Seyahi. An Aegean menu of Turkish and Greek cuisine awaits set against the stunning backdrop of the Mina Seyahi sunset and under the twinkling Arabian night sky. 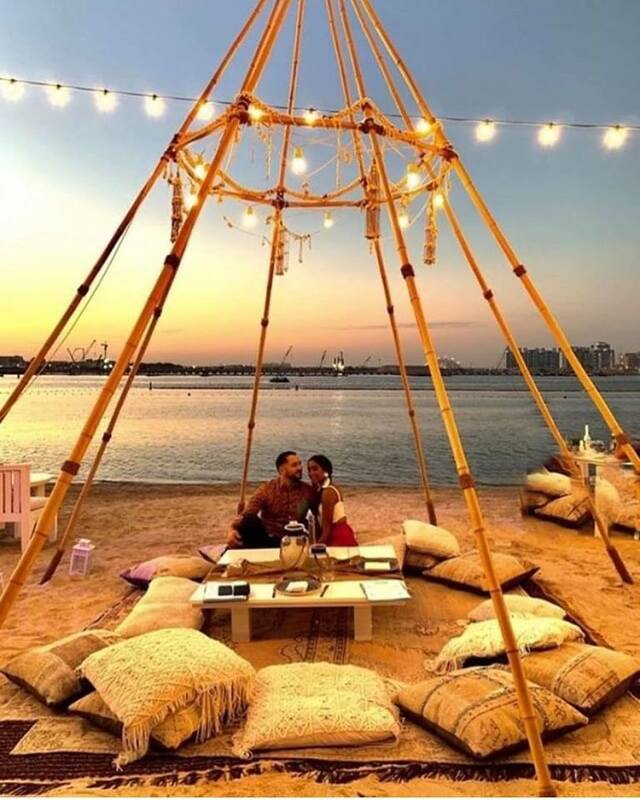 Whether you're celebrating a special occasion, spending a romantic night out in Dubai, enjoying a sunset cocktail at the bar, having a romantic dinner with someone special or looking to dine under the iconic Teepee, Fish Dubai will take your breath away. Doors Freestyle Grill – Dubai, is a high-end steakhouse restaurant nestled against the stunning backdrop of Al Seef Dubai Creek. Doors blend urban sensuality with traditional classics to bring an exceptional dining experience to Dubai. Inspired by the world’s best gastronomies, the restaurant is a subtle twist to a modern-day freestyle Grill and Steakhouse, set within a stylish and sophisticated ambience. 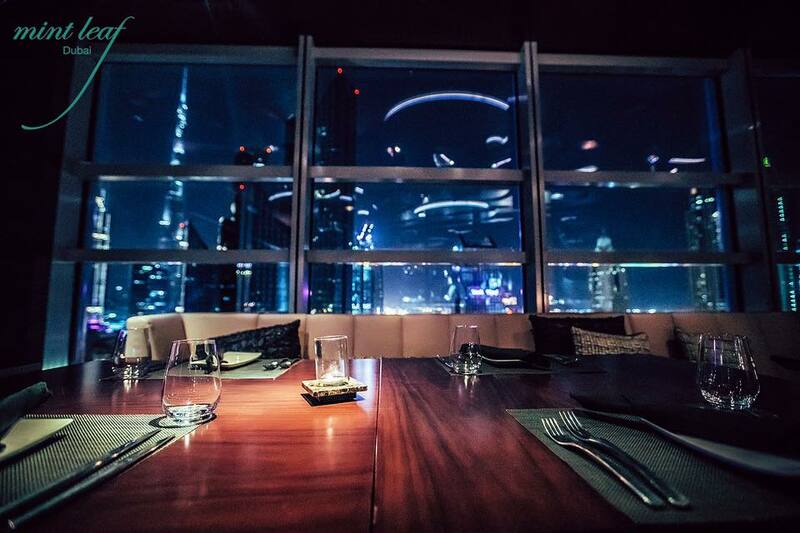 At.mosphere is an exclusive fine dining restaurant and lounge located on Level 122 of Burj Khalifa, the world’s tallest tower. At.mosphere boasts a critically acclaimed menu of exclusive creations. JA Bateaux Dubai is an opportunity to discover Dubai’s historic Creek and its values while enjoying freshly prepared gourmet cuisine within a sleek glass-enclosed interior. Take in the historical scenery with maximum panoramic views, fully air-conditioned vessel and Alfresco decks. A must do experience, ideal for private party’s, weddings and celebrations. 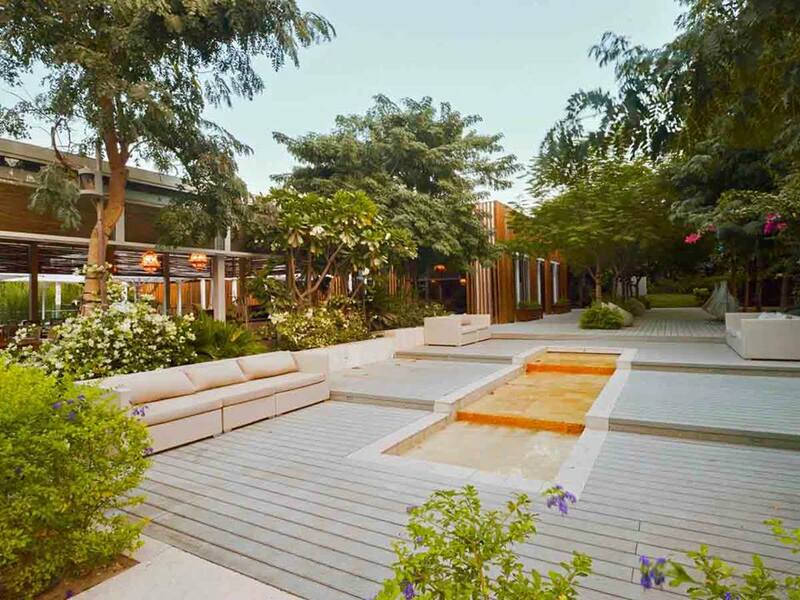 This elegant and romantic restaurant serves Thai cuisine with an emphasis on Bangkok-style seafood. 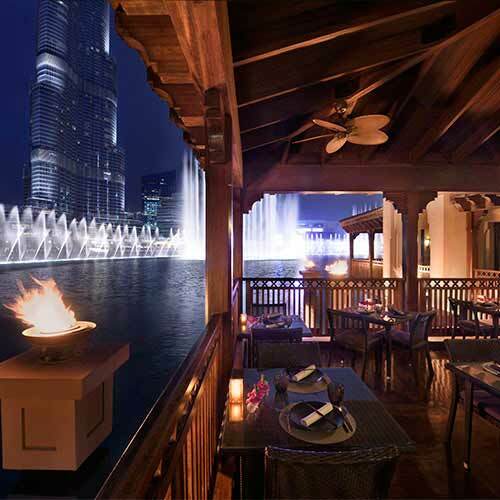 Meaning ‘Magic at the Water’, the restaurant offers al fresco dining overlooking The Dubai Fountain. Chef Masaharu Morimoto has created a bridge between the culinary traditions of his native Japan and the American palate, bringing intense excitement, exquisite technique, and perfectly balanced flavors to thousands of diners throughout the world. 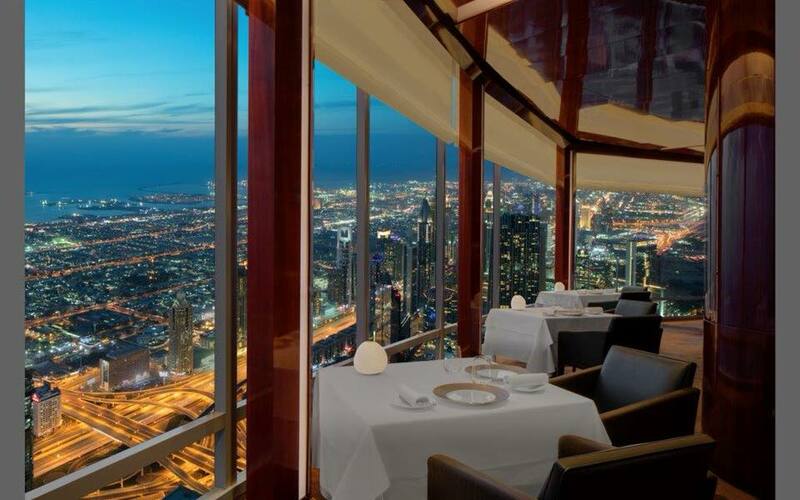 The restaurant is located on the 23rd floor of Renaissance Downtown Hotel, Dubai. Its expansive space comprises of 250 restaurant seats as well as a lounge, large bar area, sushi counter, three private dining rooms and two outdoor terraces, including private access terraces with undisturbed views of the Burj Khalifa. 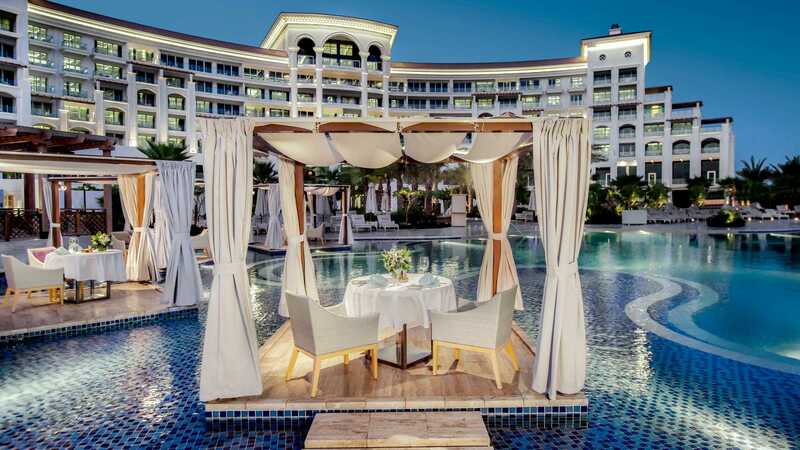 A poolside oasis located in the heart of the hotel's elegant grounds, Palm Avenue offers guests a chic yet relaxed atmosphere and casual cuisine reflective of the Mediterranean coast. 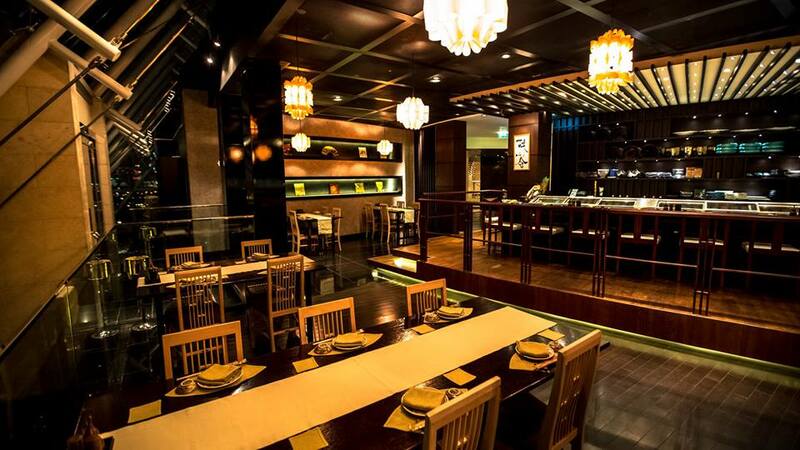 Dubai’s most talked about Indian restaurant, serving award winning food in a relaxed dining atmosphere. Mint Leaf of London, a subsidiary of Mint Leaf Group, London’s purveyors of fine Indian cuisine. 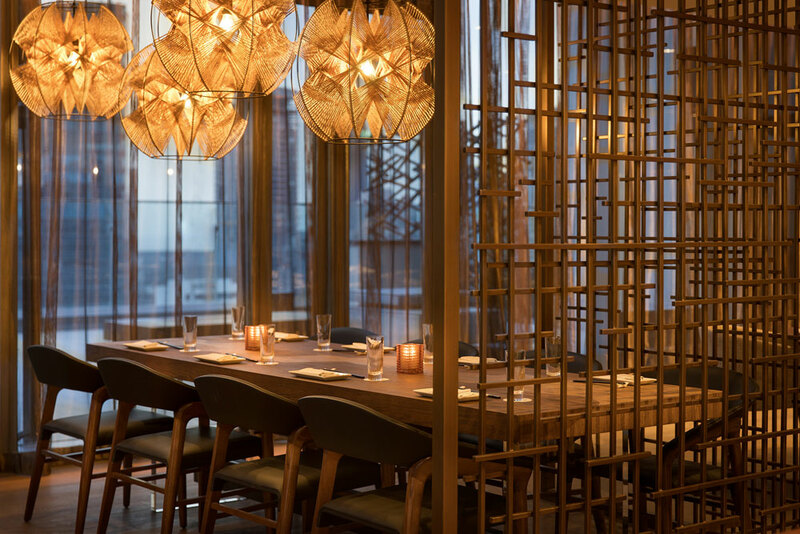 Perched on the 15th floor of the Emirates Financial Towers, South Tower in the heart of Dubai International Financial Centre (DIFC), Mint Leaf Dubai unveils a selection of authentic Indian cuisine with an innovative contemporary twist that promises a truly exceptional gastronomic experience. The word “TOMO” is literally translated from Japanese to mean a long time friend. Tomo is a place where good friends will often meet to share memorable occasions. At TOMO, you will enjoy a wonderful selection of authentic Japanese dishes. 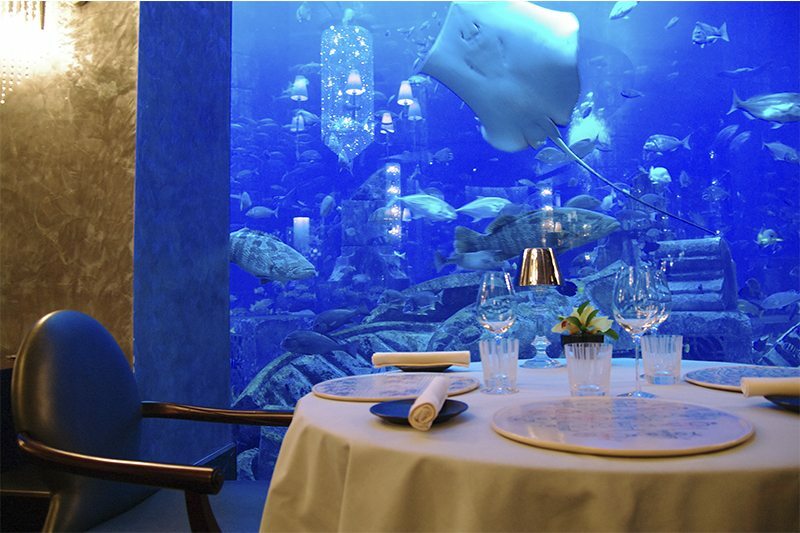 Ossiano, located at Atlantis, The Palm, where the finest seafood cuisine is consumed with a view like no other - the 65,000 fish aquarium amply named "The Ambassador Lagoon". 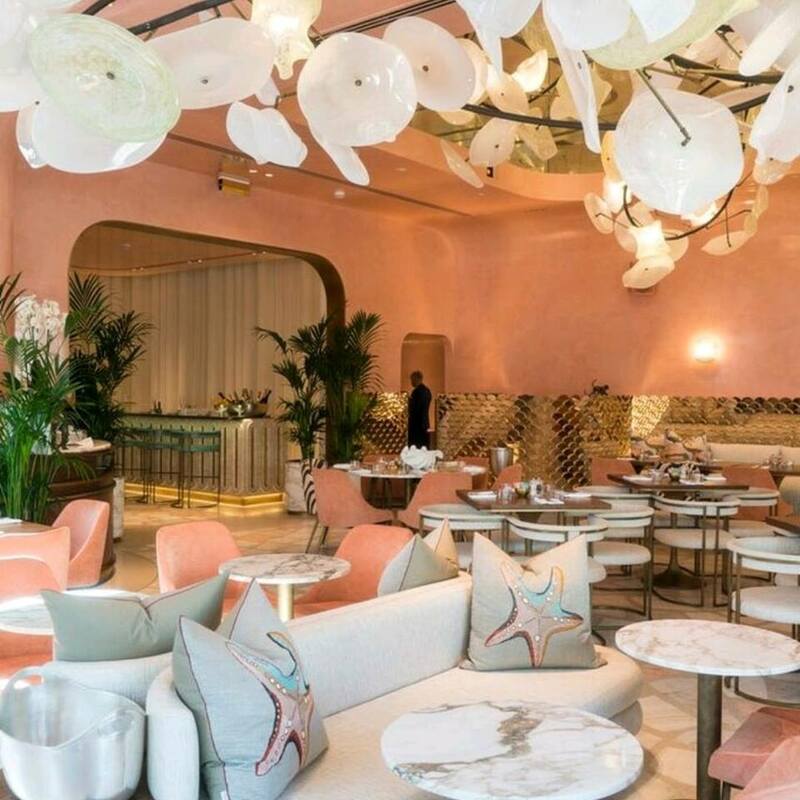 As other worldly stingrays glide by like futuristic spaceships, indulge in the Ossiano experience menu or try the a la carte options while the vibrant atmosphere with its live music washes over you in waves. 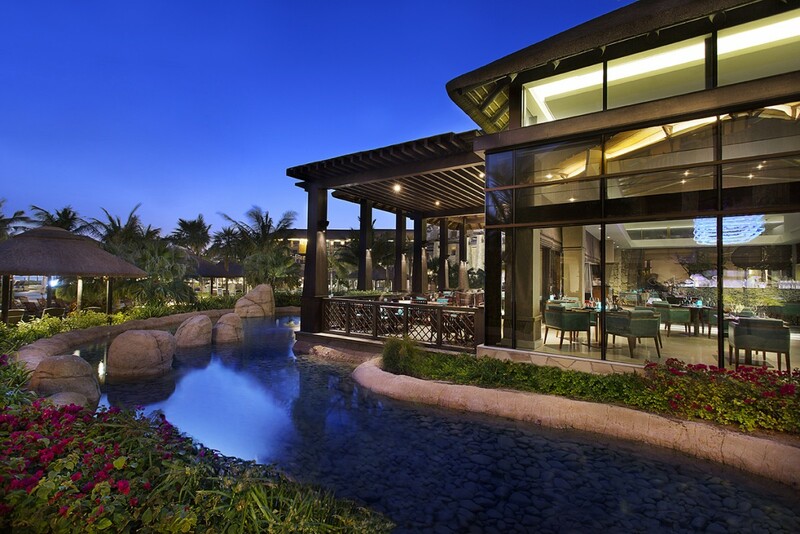 Fresh seafood abounds at Moana's pagoda-style restaurant located in the heart of Sofitel Hotel & Resort at The Palm. Seafood at Moana Restaurant is cooked with traditional Asian flavours and served in the comfortable indoor seating or on the outdoor terrace. A special feature of the restaurant is the Raw Bar serving up the finest sushi, sashimi and ceviche. The Farm is the perfect place to escape the heat and enjoy fresh fare in front of an exquisite botanical and waterside backdrop. The Farm is more than a restaurant; it is a culinary, leisure and social hub for UAE residents looking to spend quality time and enjoy great food with family and friends. The Farm’s philosophy is simple - to serve high-quality, wholesome food the way nature intended, in a relaxed and tranquil setting. Shimmers sits on one of the best locations in Dubai, with spectacular views of Burj Al Arab Jumeirah. It is best known for its authentic Greek cuisine, casual chic atmosphere and a relaxed seating arrangement on the sand .